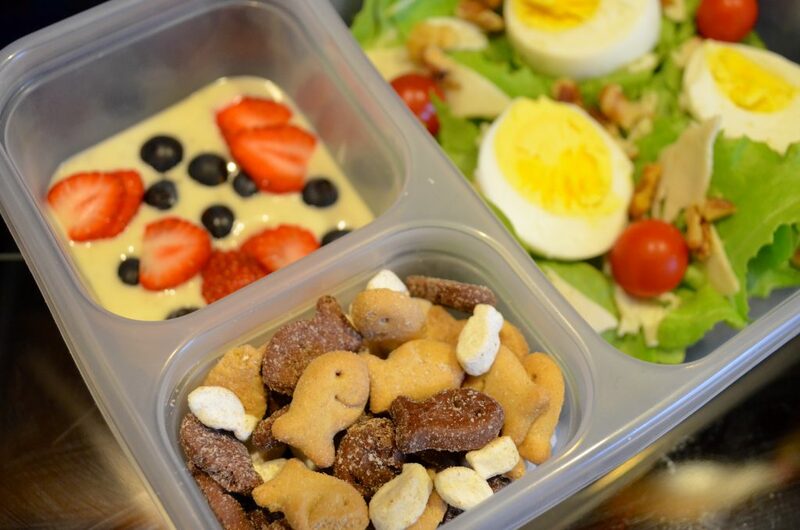 The back to school season is here but there’s no reason to start out in the rut of packing the same thing in your child’s lunchbox every day. My kids love their peanut butter and jelly sandwiches….but not all year long! I want my kids to have their best shot at school so I work on offering creative and healthy lunches for them throughout the year. I make sure to ask for my kid’s input and they help me shop for their lunches too. For their first day of school we are starting out with a delicious kid-friendly salad choice which you can tailor to your child’s meal tastes. 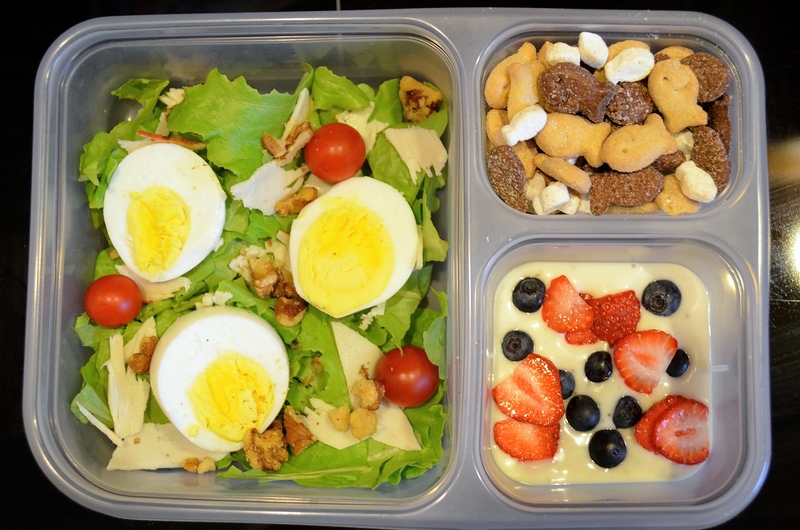 I love using a multi-compartment container to pack lunches in so that my kids can have several options of food they want. First things first though. 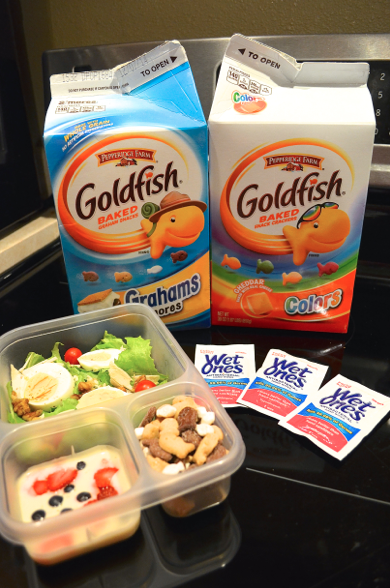 For their special snack they picked out Goldfish®​ S’mores Crackers for the first lunch, and Goldfish Colors Crackers for the next lunch. Favorites have to go in first! Then we got started together on their salad. My son grabbed some fresh lettuce from our garden which we washed and tore up then laid in the largest section of his lunch container. We added a little bit of ranch into one of the compartments where we also added our “wet” ingredients like strawberries and blueberries. 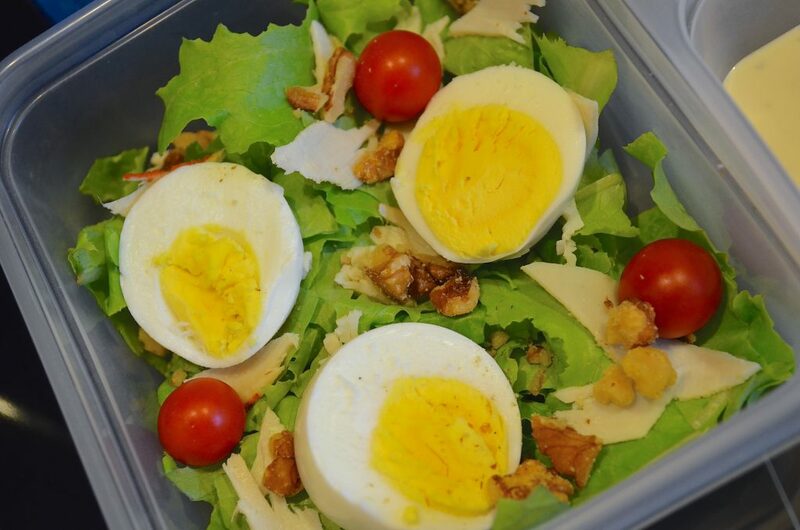 Over the salad we then added our slices of boiled eggs, cherry tomatoes, and sprinkled on walnuts and our chopped up turkey. Doesn’t this look great? It is simple, healthy, and kid-approved! You can add or swap out anything your kids might like! Some other great ideas to include in this might be humus, salsa, corn, cashews, grapes, guacamole, or even a drizzle of honey! One VERY important thing that I also send with my kids for school lunches (other than a little encouraging note!) 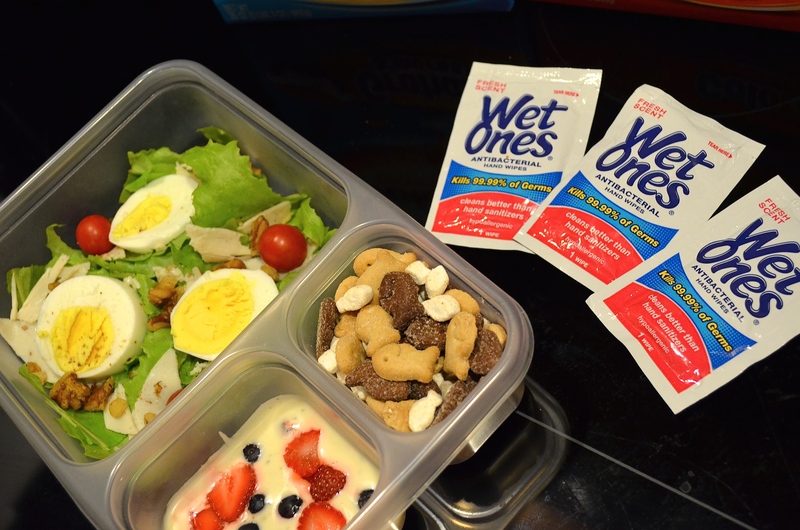 is a Wet Ones® Singles so they can wipe off their germy hands before they start eating! It cleans their hands and kills 99.9% of germs so I don’t have to worry about what germs they’re picking up during lunch time! Plus after they’re done eating they can use it to wipe off their table area! You can throw it in their lunchbox or tape it right onto the top of their lunch container! For other great school lunch ideas visit their website here!